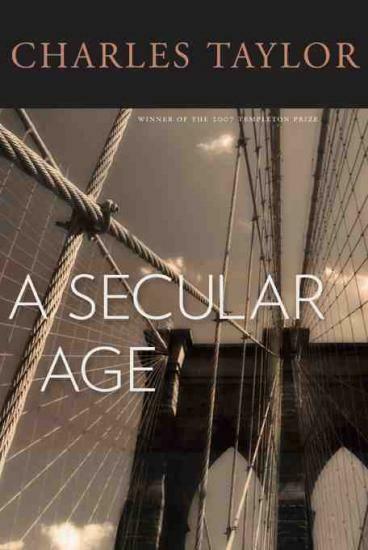 A Secular Age is a book written by the philosopher Charles Taylor which was published in 2007 by Harvard University Press. The sociologist Robert Bellah has referred to A Secular Age as "one of the most important books to be written in my lifetime." 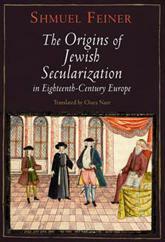 In recent years, secularism has become an important topic in the humanities and social sciences. 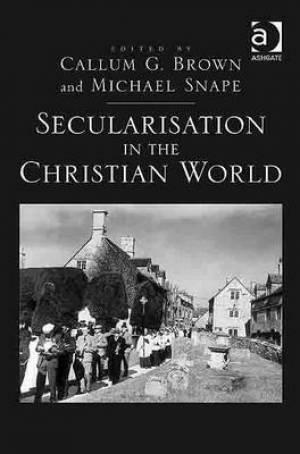 Although there continue to be important disagreements among scholars, many begin with the premise that secularism is not simply the absence of religion, but rather an intellectual and political category that itself needs to be understood as an historical construction. In this book, Taylor looks at the change in Western society from a state in which it is almost impossible not to believe in God, to one in which believing in God is simply one option of many. He argues against the view that secularity in society is caused by the rise of science and reason. He argues that this view is far too simplistic and does not explain why people would abandon their faith. In his previous work, Sources of the Self: The Making of Modern Identity, Taylor focuses on the developments which led to the identity of modern individuals in the West. 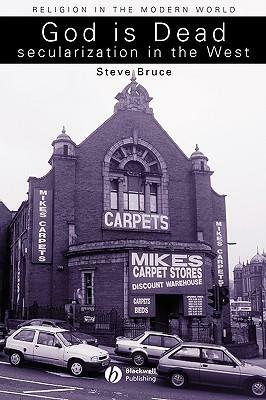 This work focuses on the developments which led to modern social structures. The content of Sources of the Self is complementary to A Secular Age. Three modes of secularity are distinguished: one, secularized public spaces, two, the decline of belief and practice and three, cultural conditions where unbelief in religion is a viable option. This text focuses on secularity three. Up until a few hundred years ago, the common viewpoint of the North Atlantic was basically Christian. Most people could not even consider a viewpoint without God. The culture has changed so that multiple viewpoints are now conceivable to most people. Taylor starts with a description of the Middle Ages and presents the changes to bring about the modern secular age. The Middle Ages were a time of enchantment. People believed in God, angels, demons, witches, the Church's sacraments, relics, and sacred places. Each of these types of things had mysterious, real effects on individuals and society. The early Middle Ages were content to have two speeds for people's spiritual development. The clergy and a few others were at the faster, more intense speed. Everyone else was only expected to plod along at a slower spiritual speed. The High Middle Ages had a strong focus on bringing everyone along to a higher realm of spirituality and life. 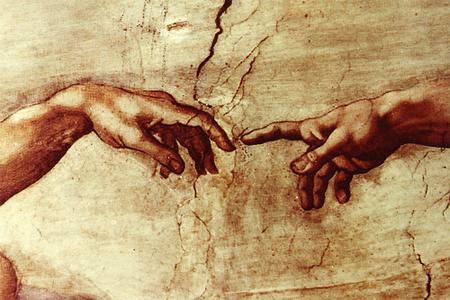 Deism is considered the major intermediate step between the previous age of belief in God and the modern secular age. This change is accomplished through three major facets of Deism: one, an anthropocentric shift in now conceiving of Nature as primarily for people, two, the idea that God relates to us primarily through an impersonal order that He established, and three, the idea that religion is to be understood from Nature by reason alone. The first stage is characterized by the withdrawal of the religious world-view from the public sphere. This is the result of much more than just the rise of scientific world-view. This is the disenchantment of the cosmos. Secularism is the move from the enchanted reality to the de-enchanted reality - this freed science to follow its own trajectory. In an enchanted worldview science, politics and religion all shared the same world view. When that enchanted world-view disappeared science became free to follow its own rationale. The second stage is seen in the decline in personal religious practice and commitment. This is a individual's withdrawal from the community. People shift the source of meaning away from external 'eternal' sources to more personal choices. The third stage is the most recent development, which has caused a fragmentation of our ideas of social order. This is the shift in the culture away from assuming Religious Faith is the norm, or the default expectation of how to live your life. Faith is now one option among many. This is society living in a universe which has no central point around which it revolves. Secularism is a world view, a philosophy like any other. It is not necessarily an accurate description of reality. It is currently the most powerful world-view at play in Western society. It is the philosophical outcome of 500 years of the Enlightenment and the Reform movements of both Protestantism and Catholicism. The events of the 1950's and 1960s were just the time when these ideas made the leap from the intellectual elites to the public social sphere. Secularism does not negate the existence of God- it just pushes God into the transcendent realm, which is considered supernatural, and therefore ‘unbelievable’. It pushes God into a realm outside the objective knowable scientific world, making it difficult for belief in God to have ultimate claim on our lives. The second stage of Secularism is a reaction against the philosophical inadequacies of providential deism. (That is, of a good God who provides for our needs.) The argument for Atheism is a specific rejection of the God of providential deism. The Secular narrative states that to be a fully actualized individual who seeks the higher goal of self-realization one must leave behind the childish attitude of faith in God. Since much of Christian thinking does not offer positive moral guidance in the fields of modern sexuality, self-fulfillment in relationships, technology and commerce, it is easy to see how this coming of age narrative became popular. In the secular world-view, people no longer need to look beyond themselves to find their norms, their goods, their standards of ultimate value. Taylor asserts this ‘coming of age’ narrative has done more to push the advance of Secularism than the advance of scientific thinking has. 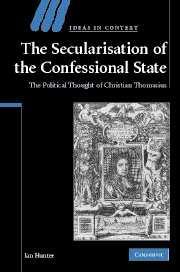 In Part IV of A Secular Age Taylor goes about describing different narratives of secularization. I think it might be helpful for us to split these narratives into two different discussions. In this first discussion I’d like to set Taylor up against an opponent/interlocutor – the Scottish sociologist of secularization, Steve Bruce. The Canadian scholar, Charles Taylor, has been described as the greatest philosopher working in the English language today, and although he has yet to definitively claim the title of Canada’s greatest philosopher, it is perhaps only a matter of time before he earns this recognition. 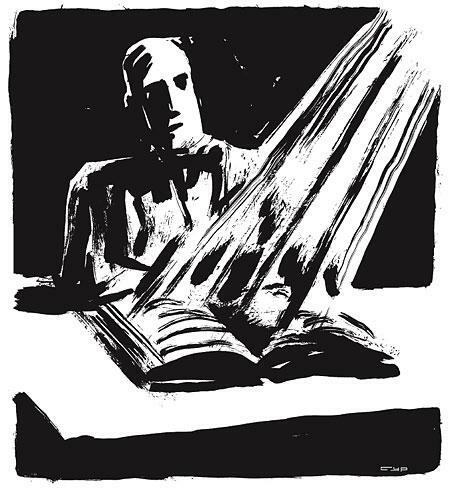 His work demonstrates an absurd degree of erudition, effortlessly moving between French, English and German philosophical schools, and draws together themes and ideas from disparate sources, often putting a fresh spin on the works of philosophers that are otherwise ignored (such as Hegel) or subject to suspicion (such as Heidegger). 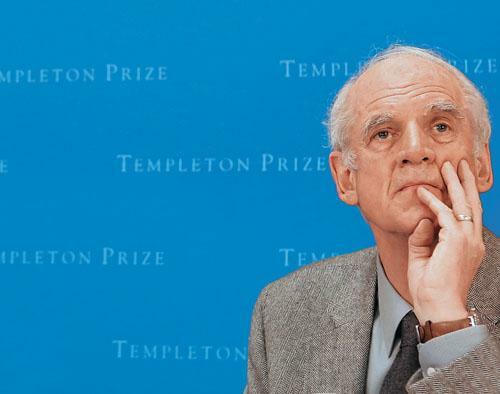 In March this year, Charles Taylor joined Mother Teresa, Billy Graham and Aleksander Solzhenitsyn as a winner of the Templeton prize for progress toward research or discoveries about spiritual realities. Not only did the award make the professor emeritus of philosophy at Montreal's McGill University nearly £800,000 richer, it also brought him into the crosshairs of Richard Dawkins who, in his 2006 bestseller The God Delusion, argued that the Templeton involved "a very large sum of money given [...] usually to a scientist who is prepared to say something nice about religion". The implication was that any professor prepared to have their palm thus greased was intellectually dishonest.